February Half Term is nearly upon us – a much needed break from the cold wintry months and nearly (we hope) breaking into warmer weather. As much as we all look forward to time with the kids, it can be somewhat stressful and expensive trying to think of ways to keep them entertained. Take some of these ideas for a spin (and quite often a great saving) and reward yourself and the kids with some hard-earned fun this February Half Term! Illustrate your Half Term with a trip to Somerset House and celebrate the power of Peanuts Good Grief, Charlie Brown! Save up to 29% here, plus the Kids go FREE. Head to the V&A Museum of Childhood, Bethnal Green on Saturday 16th Feb for a FREE family drop-in storytelling day with writers Sef Townsend and Anne Johnson for a very special storytelling session, plus visit the Pirate’s Life for Me exhibition for swashbuckling fun! See the incredible history on gaming at the V&A’s exhibition, Videogames (closing on the 24th Feb) and get up close to incredible work, immersive installations and interactives, Kids go FREE. 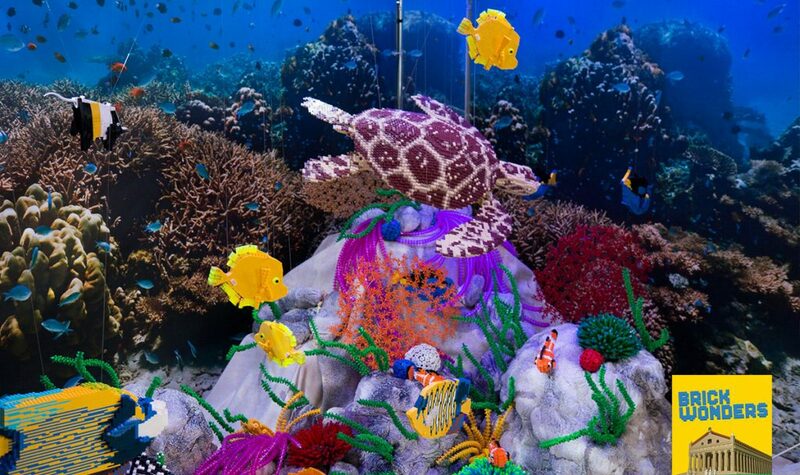 Check out the Horniman Museum’s brand new family exhibition, Brick Wonders (opening 16th Feb) which is there until October and features plenty of LEGO® interactive fun for children. Meet the animals that shaped London’s history with the Museum of London’s Beasts of London immersive tour! Experience iconic moments including the arrival of the Romans and The Plague. Visit the Discover Story Centre this Half Term to see their brand new exhibition The Tiger Who Came to Tea and the adventures of Mog the Forgetful Cat on the 16th Feb – Sept 2019 where you can crawl through a giant cat flap, have tea with Tiger and discover the myriad worlds of Judith Kerr’s life. Launching just in time for Half Term, visit the Postal Museum for their brand-new Mail Rail Family Trail! 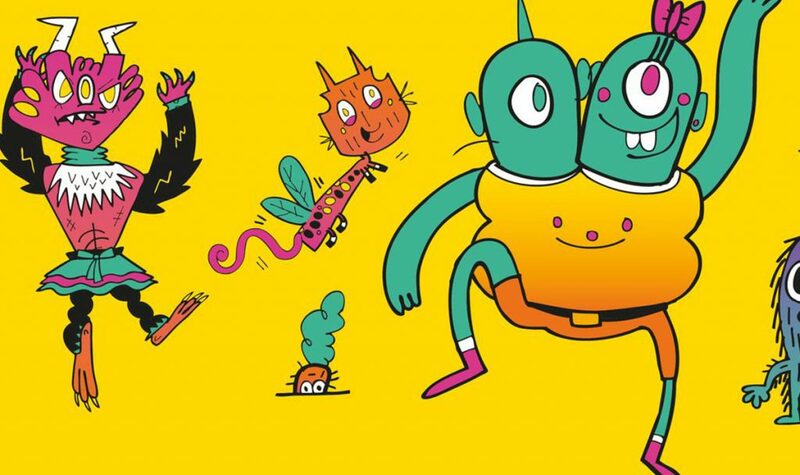 It’s been beautifully designed by kids’ story book illustrator Salvatore Rubbino., plus there will be plenty of activities all week long including arts and craft workshops, storytelling and live performances! What’s on at the theatre? Let’s All Dance are back with their beautiful ballet Alice in Wonderland which has been created specifically for children. Enjoy up to 35% off here. The Wider Earth is coming to a close at the Natural History Museum (24th Feb), so if you’re planning to go to the museums this Half Term, break up your day with this award-winning show, book here and save on selected seats. Go to the Unicorn Theatre to see the epic ‘Icarus‘ (for ages 8-12). A brilliant retelling of the ancient myth and with an exclusive 20% off. Get involved in rap, hip-hop and incredible dance tricks at the Leicester Square Theatre’s Wolf on Friday 15th – Sunday 17th February. For older kids who like a historical twist, see Six the Musical at the Arts Theatre (Ages 12+), a 75-minute celebration of sisterly sassitude on Henry VIII’s six wives. Get a boost of energy with a jump session at Oxygen Freejumping, available at 7 locations across the UK (and it’s valid for 3 months!!). Enjoy 20% off here. Ever wanted to find out what it’s like to be an Avenger? Test your worth at Marvel’s Avengers S.T.A.T.I.O.N. at the ExCeL. Enjoy up to 42% off entry tickets here. Learn all things spectacular at the Science Museum on their exhibition on The Sun. With fun hands-on experiences, stunning imagery and unique artefacts. Under 16s go free! Treat the family to a classic game of ten-pin bowling at Hollywood Bowl. Enjoy great savings at 59 locations with the LittleBird Family Pass. Enjoy exclusive early access to The View from the Shard and see London against the morning light. Enjoy up to 40% off here. Feast like a King at London’s Medieval Banquet, with four courses and entertainment from £24.99, currently up to 40% off with us until 31st March 2019. See the city at speed from the Thames on the ThamesJet experience. Kids from £19.99 here, plus for an extra special treat, add on a Planet Hollywood meal. 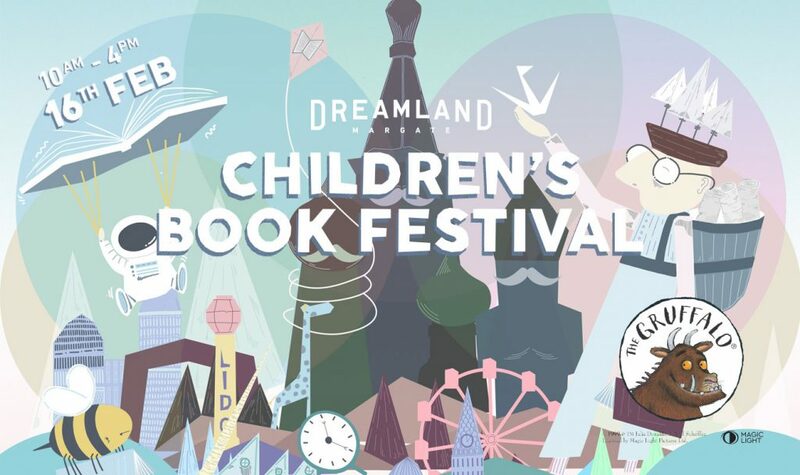 Dreamland will host it’s first ever Children’s Book Festival on the 16th February! With special appearances from The Gruffalo and screenings of film adaptations including Room on the Broom, Stick Man and the latest release Zog! Tickets are from £6. Experience nature at it’s purest at New Forest Wildlife Park, walk through gorgeous natural woodland trails, and meet amazing animals. Kids go Free for LittleBird Family Pass members. Looking to explore a new city in the UK? Try out City Sightseeing’s Hop On Tours, save 20% on 14 locations across the UK with the LittleBird Family Pass. Be dazzled by Circus Zyair at Hop Farm in Kent. Enjoy a 70-minute sight-seeing tour around Poole Quay, Europe’s largest natural harbour and its surrounding beauty. Tickets are from £4.50, a family of 5 is just £17.50! Make the most of the great outdoors at Wetland Centre’s across the UK this February Half Term with their Puddle Jumping Championships! See who can produce the biggest splash, plus additional activities as part of the championships such as obstacle races, welly wanging and puddle jumping themed arts and crafts. Visit the beautiful Barbican Conservatory on a Sunday (seleted dates) and its array of plant species. Find more fun ideas and savings for things to do in our February Half Term category and filter by age, price or date on LittleBird.